The Senate health panel on Tuesday grappled with how new policies could curb the ever-increasing costs of the U.S. health system. The lawmakers came away with several questions that likely will recur as the federal government pushes forward with the shift to value-based care. From standardized "care products" to benchmark pricing, here are four issues lawmakers and witnesses raised as they try to rein in spending that is set to reach 20% of gross domestic product within the next decade. Dr. Jeff Balser, CEO of Vanderbilt University Medical Center; Dr. Steven Safyer, CEO of the Montefiore Health System in New York City; David Lansky, CEO of Pacific Business Group on Health in San Francisco; and Dr. Brent James, clinical professor at department of medicine Stanford University School of Medicine, testified in the hearing. It's the second in a series called by committee Chair Lamar Alexander (R-Tenn.) and ranking Democrat Patty Murray of Washington. 1. Does the government need to standardize care for value-based models to work? Lansky blamed the lack of competition within the U.S. healthcare system on the fact that procedures from knee replacements to diabetes care don't have standard definitions that can foster increased competition. Tying reimbursement to a standard treatment would make physicians, hospitals and other providers less likely to prescribe unnecessary care or medication, Lansky argued. He also said that setting these standard products could accelerate the seismic shift to a system that pays for value. 2. What is fraud and what is waste? Alexander made it clear he wants to address waste through fraud and excess administrative costs, and noted that he will likely focus on healthcare utilization or over-utilization and administrative complexity. 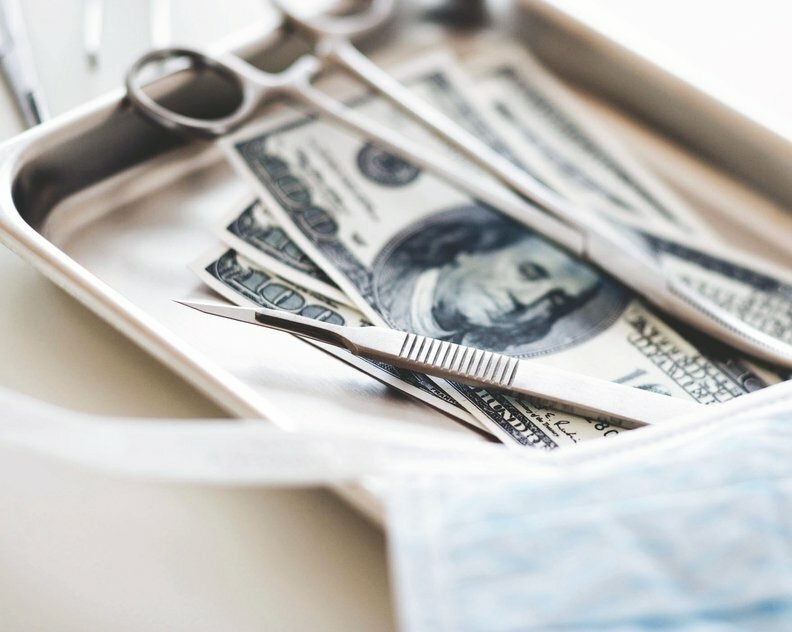 A 2009 report from the National Academies found that as much as 30% of total healthcare funding can be attributed to fraud or excessive administrative costs, but witnesses and lawmakers agreed the number could be much higher. Lansky described a recent healthcare utilization study by the Washington Health Alliance that found 46% of low-cost services in the state were considered unnecessary. Alexander also warned that "a little move" from Congress could have far-reaching effects across the entire system. "Let's not get so balled up in technical details and partisan politics so we can see one or two things to set in motion for a reduction in complexity or better utilization," Alexander said. 3. How can concierge care and direct provider contracts help keep down administrative costs? Sen. Bill Cassidy (R-La.) is pursuing legislation to expand so-called concierge care, which lets patients pay their private physicians directly through a retainer rather than relying on the insurance system, and suggested further exploration of direct provider care could eliminate substantial administrative costs. Lansky also touted the role of large corporations, which are increasingly contracting directly with health systems to manage care for their employees, in reducing administrative costs. 4. Who is responsible for social determinants of health? Safyer said obesity, asthma and diabetes play a big role in the poor health of populations around his health system in the Bronx. Montefiore has started providing extensive diet counseling to patients to counteract the trend. But it's difficult, Safyer said, as he described the Bronx as a "food swamp" where neighborhood bodegas depend on soda and alcohol companies for their refrigerators, which they then have to place at the front of their stores. "The healthcare systems have to make a change, but they can't make it on their own," Safyer said. Alexander noted in his opening statement that the skyrocketing costs of chronic conditions caused by poor diet show that "it seems Americans are not doing a very good job of taking care of themselves." "Wasted healthcare spending also can come from not spending enough money on preventive care," Alexander said. But as providers and insurers find themselves grappling with social determinants of health, it's unclear how far they can go in remedying broad populations' diets and transportation hurdles.